Phnom Penh. In 2007 Fr. Leonardo Ochoa, SDB, then Rector of Don Bosco Phnom Penh, created a group of resident boys. 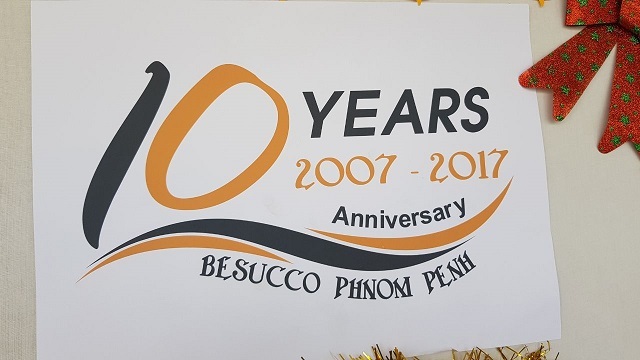 "I wanted an atmosphere where young people could study and come to discover the talents they have," he said to the Soccom reporter during the celebration today in the Cambodian capital. ﻿Besucco Boys, first and late generations around their founder, Fr. Leo Ochoa. 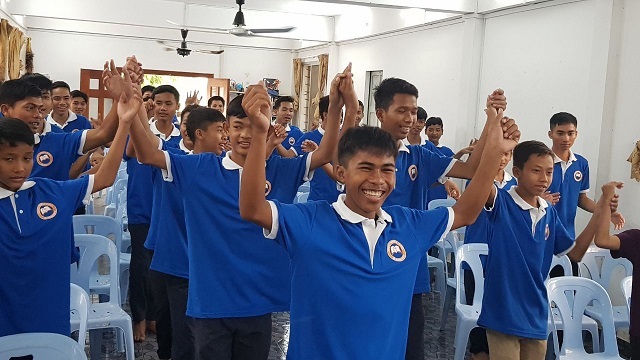 The experience has let already a meaningful result with five vocations: three youth for the Cambodian Catholic Church, who are currently doing their seminary studies to become priests, and two for the Salesian Congregations, Br. Saroung and Br. Dara, now post-novices in Don Bosco Sampran, Thailand. "The Besucco House of Studies has since been offering a holisic formation," continues Fr. Ochoa. "The house offers both human, religious and intelectual formation." Many of the former Besucco Boys since 2007 joint today the ceremony and it started this Sunday with the speech of current Rector, Fr. Roel Soto and, of course, the founder, Fr. Leo Ochoa. Fr. Charles Michael presided the Holy Mass. Besucco Boys became also popular at the heart of the local Phnom Penh Church for their solemn music animation and songs. They cut the 10th anniversary cake and games followed between the most senior Besucco boys and the new generations. A footbal match crowned the event and the presentation of gifts.